A Charlie Brown Christmas was originally conceived of as a Coca-Cola ad and was even sponsored by the company. The original broadcast contained several references to the beverage including a final title card that read “Merry Christmas from your local bottler of Coca-Cola”. These references have been edited out in subsequent broadcasts. In the 1960s, less than 9 percent of TV Christmas specials contained references to religion and Christianity. Animator Bill Melendez originally tried to talk Peanuts creator Charles Schulz out of using Biblical references in A Charlie Brown Christmas, but Schulz told him, “If we don’t do it, who will?” Linus’ speech became one of the defining moments of the special. Linus’s speech about the true meaning of Christmas is taken from Luke 2:8-14 in the King James translation of the Bible. When Linus recites the line “Fear not: for, behold, I bring you good tidings of great joy,” he momentarily lets go of his security blanket and his own fears. Bill Melendez and Charles Schulz were given just one day to prepare an outline for Coca-Cola executives. 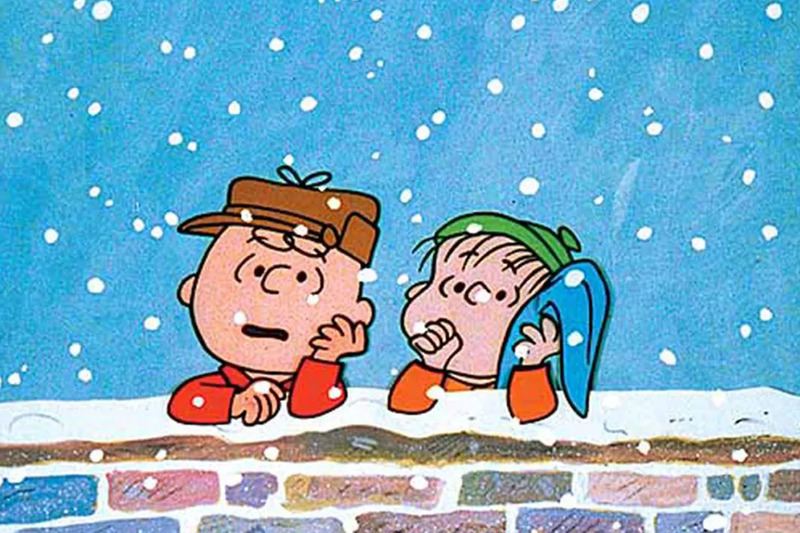 After the special was commissioned, the duo was given a budget of only $76,000 to produce A Charlie Brown Christmas (they later went $20,000 over budget). Animation was completed in only six months and production on the special ended just ten days before it aired. In order to make the Peanuts gang come to life while adhering to their shoestring budget, Melendez and Schulz decided to use only child actors. In fact Kathy Steinberg (who voiced Sally Brown), didn’t even know how to read and had to be fed her lines one word at a time. The vocals for “Christmas Time is Here” were sung by son of producer Lee Mendelson and his sixth-grade class. For the voice of Charlie Brown, they were looking for a voice that was downbeat and nondescript (Mendelson described his voice as “blah”). Lucy on the other hand was to be bold and forthright, while Linus’ voice, was meant to convey both sophistication and a childlike innocence. During the 1960s, most of the popular animations of the time featured canned audience laughter and network executives strongly objected to the fact that A Charlie Brown Christmas had no laugh track. A version with a laugh track was later produced, but never aired. One television executive historically claimed, “We’ll play it once and that will be all.” Despite the success today, A Charlie Brown Christmas was incredibly controversial for its time. The lack of a laugh track, the overt references to the Bible, and the use of child actors broke all the conventions of a traditional animated Christmas special. Today, A Charlie Brow Christmas is the second-longest running Christmas special in U.S. television history (after Rudolph, the Red-Nosed Reindeer). The special won both an Emmy and a Peabody and its soundtrack went triple platinum. While the children were recording their lines for the special, the rock group Jefferson Airplane was next door recording their debut album, Jefferson Airplane Takes Off. After their recording session, the band stopped by to get autographs from all the children. It’s not just rock legends who are fans either. On October 1st, 2015, the US Postal Service issued a set stamps featuring various scenes from A Charlie Brown Christmas in honor of the special’s 50th anniversary. A Charlie Brown Christmas became a cornerstone in animation and influenced the work of many young artists including Eric Goldberg (Pocahontas), Pete Docter (Monsters, Inc., Up), and Andrew Stanton (Finding Nemo, WALL-E).